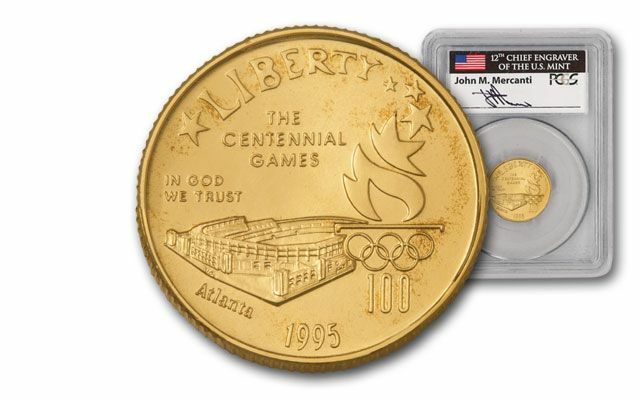 To celebrate the 100th anniversary of the modern Olympic Games in Atlanta in 1996, the U.S. Mint turned to mint engraver Frank Gasparro, designer of the reverse of the Kennedy Half Dollar, to design the reverse for the 1995-W Olympic Stadium gold coin. 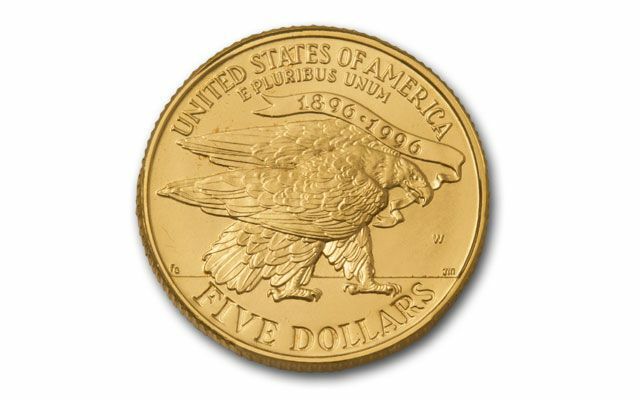 Mr. Gasparro created a majestic bald eagle design, with the eagle holding a ribbon reading 1896–1996 in its beak. 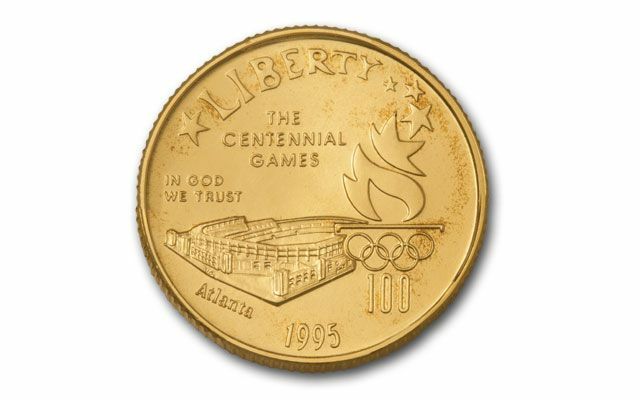 The obverse features the Olympic Torch and Stadium. The coin, struck in 8.36 grams of 90% gold, went into production at the West Point Mint, and 10,759 were minted, an incredibly small number for an Olympic commemorative. And, it's even harder to find today when signed by John Mercanti, the 12th Chief Engraver at the U.S. Mint. 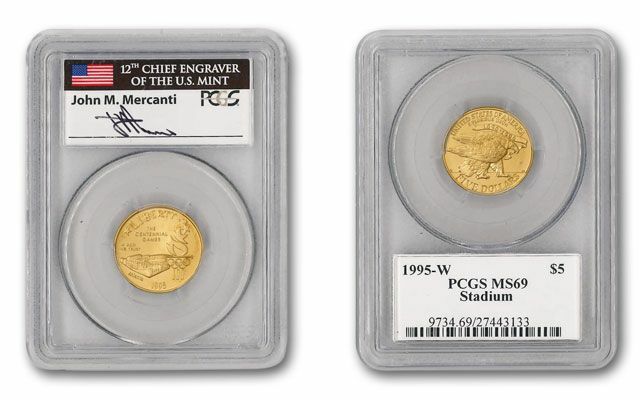 This example grades Mint State-69 (MS69) by Professional Coin Grading Service (PCGS) and Mr. Mercanti's original hand-signed signature on the label is sealed with the coin in the holder. We urge you to call now to secure this prize!